"Hey Dr. Christina! Just wanted to tell you thank so much for what you do! My son passed his hearing screen today and they don't see all the extra fluid in his ears anymore either! He had failed his hearing test twice prior!" "I woke up the other morning in a lot of pain and realized I had a rib out. It is so nice to have someone like Dr. Cosh to turn to when you need help. I trust her completely to adjust any problems I have and get it right. It's not easy to trust just anyone with your health and well- being. Thank goodness for Dr. Cosh, I tell everyone I know about her!" 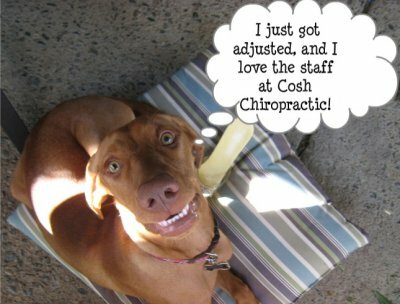 "I started coming to Cosh Chiropractic 3 years ago. I was experiencing headaches and neck pain. After a few adjustments my headaches were gone, and they haven't returned since. Christina and her staff create a fun loving, relaxed environment and make you feel comfortable and at home. I always look forward to my appointments." "I appreciate everything Dr. Cosh has done to help me align my lower back. No one else has been able to accomplish this! I greatly respect her skills and patience with me. Thank you again!" "My daughter left your office with instant pain relief the day you worked on her. If you didn't recall, she was the little 8 year old that came in with her neck twisted into a horse shoe. Thank you for taking care of my baby and for the instant gratification a mother needs (to see your child instantly healed). It wasn't 10 minutes after we left and she was sitting up straight with no pain. Thank you!" 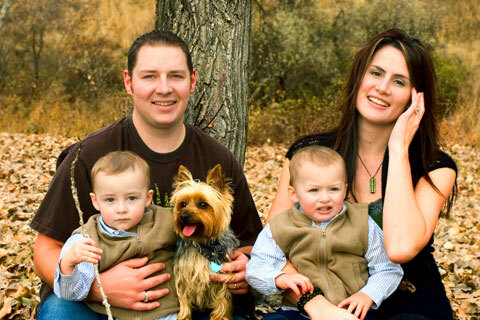 "My 7-year-old daughter was having persistant migraine headaches with loss of vision. After three days of extreme pain I brought her in for Dr. Cosh to care for her. Within 20 minutes after her adjustment her full vision came back and within 2 hours her migraine was completely gone! Having suffered from migraines as well, I thank you so much for helping my little girl!" Shortly after his 3rd birthday, my son, Camren, began suffering from chronic constipation. He would sometimes go up to seven days without a bowel movement. The first incident had him doubled over in pain which required an emergency trip to the pediatrician and his first Magnesium Citrate clean-out. Not a pleasant ordeal, which had us house-bound for three days. 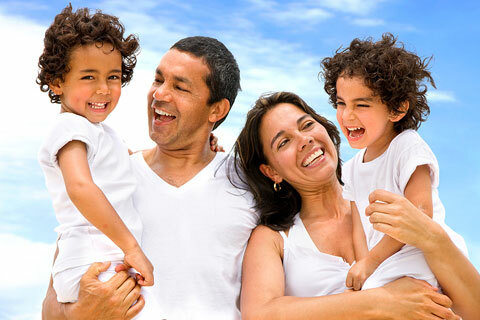 The pediatrician referred us to a GI specialist with Sutter Medical in Sacramento. She was a wonderful lady and showed great compassion for his case. 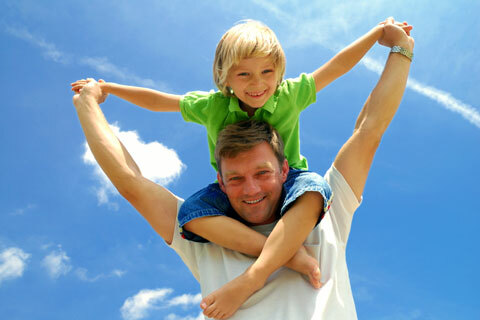 She explained that his condition, called Encopresis, is fairly common when potty training, especially for boys, in that they get too busy to take time out to use the restroom, This results in the stool hardening in the colon, backing up and stretching it out, ultimately causing a loss of sensation to eliminate. She prescribed daily doses of Myralax with the promise that after a year he should be back to normal. The story has been the same over the course of the last 3+ years, where we would try to start a weaning process from the Miralax and end up right back where we started with the slow-down of bowel movements necessitating more Mag Citrate clean-outs. Those three years of trips and phone calls to Sacramento, which has also included multiple tummy xrays, extensive blood work, biofeedback therapy, and many missed days of school had produced no significant results for Camren other than a strict high-fiber diet. There was even talk at one point of considering insertion of a cecostomy catheter. We decided this was not a viable option for such an outgoing and athletic boy. Just before Thanksgiving this past year, I got caught up in a couple different conversations where friends/family turned to Chiropractic to manage long-term health issues that modern medicine could never remedy. It got me to thinking and wondering if Chiropractic wouldn't work for my son. I began asking around and received referrals from friends and family to try their chiropractors, but I wasn't quite satisfied after researching them. After flipping through a local publication, I noticed an advertisement for Cosh Chiropractic Care. The picture was of she and her family, and something about her called to me. It might have had something to do with the pretty lady with the long blond hair and the fact that she's a mommy, which really appeals to my young son! I called Christina's office to inquire about treatment for this condition for young children. They told me to come right in. How ironic is it that Christina's 6-year old daughter had the same problem? She told me to cut out all dairy products, and that chiropractic alone would not cure him, but would certainly help. Why didn't any other doctor suggest eliminating dairy in the past? I was skeptical at first, but vowed to give it a try. She said to keep him on the Miralax at ½ cap daily dose until comfortable with weaning him off. Guess what, it has made a huge difference. He is now consistently having bowel movements once to twice every other day vs. the once every three days with heavy medication before. He started his visits with Christina the beginning of December weekly and is now seeing her once every three weeks. We are thrilled with the progress. I am not a religious person, but Christina was a Godsend! Thank you, Thank you, Thank you! I was able to go see my show (it was superb) and I am ambulating like a normal person (or whatever passes for normal)!